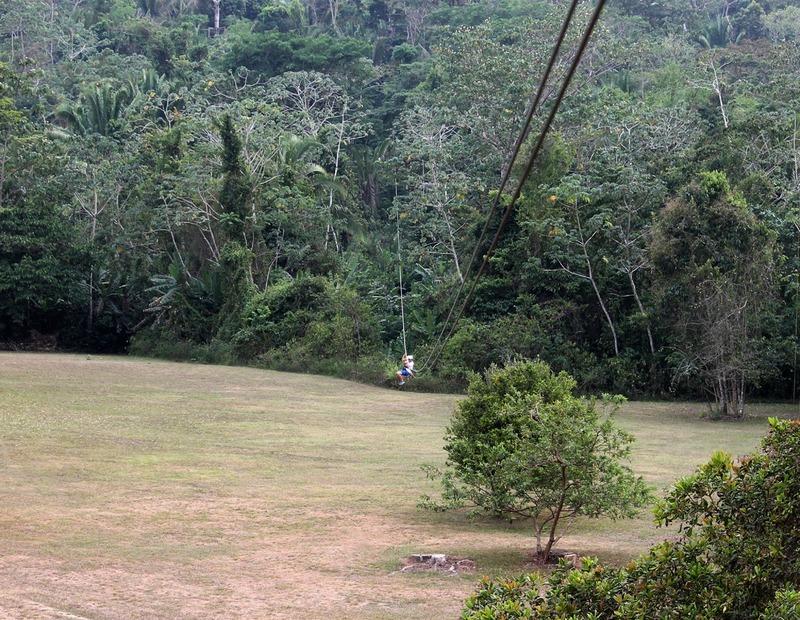 EXPLORE BELIZEAN JUNGLES by kayak, hiking, zipline, and more! 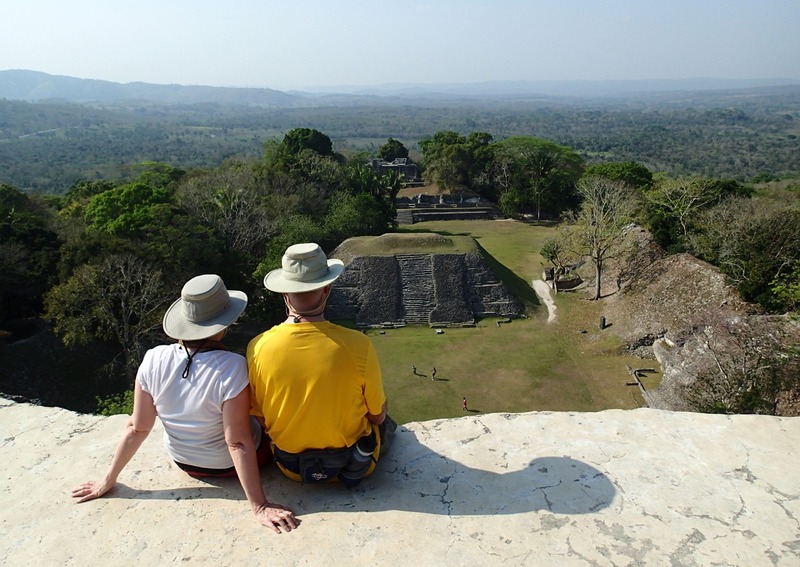 Belize Adventure Week — our ever-popular, action-packed tour — explores this fascinating country using a multi-sport format. 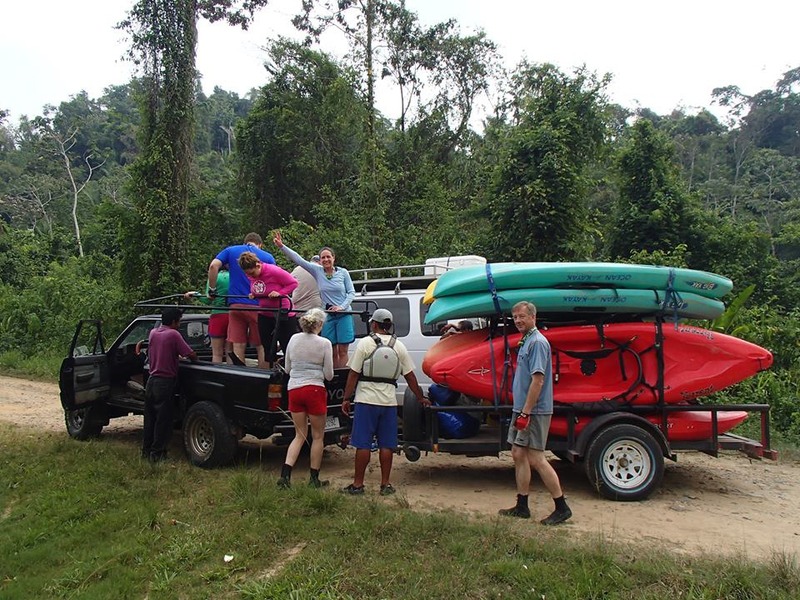 You can now join us just for the first 4 days in the Belize Adventure Week 8 day trip. 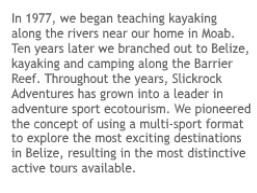 This trend-setting active vacation package is based on over 30 years of Belize exploration. We meet at a beach lodge in the coastal town of Dangriga, transferring to the jungle early the next morning for waterfall rappelling in the morning and ziplining in the afternoon. 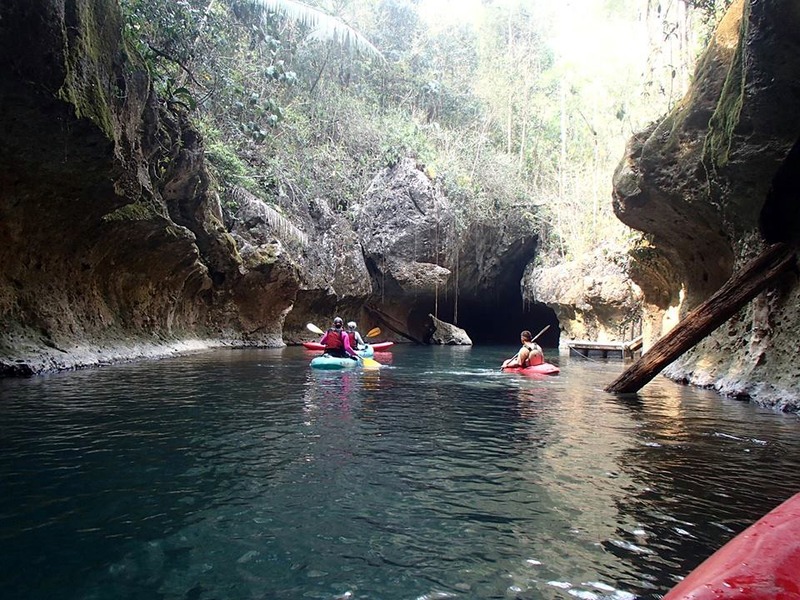 From there we drive the beautiful Hummingbird Highway to western Belize where we spend two days learning to kayak on the Mopan River, exploring the Mayan Ruins of Xunantunich, and cave kayaking underground before finishing up in Belize City. 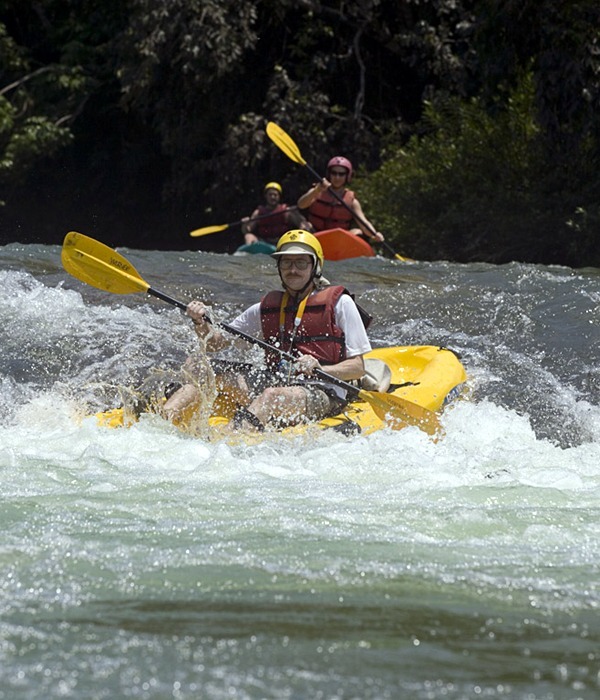 During this action-packed itinerary, we visit 3 protected areas, and all entrance fees are covered, as are all transport, sports instruction, and kayaks and accessories. We stay in three different lodges on this four night adventure. This is the way to see Belize! 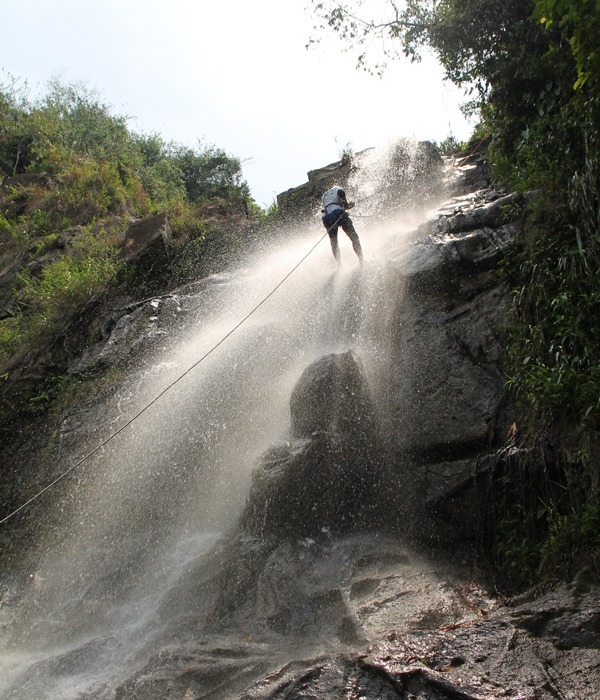 In only four days you will experience three different regions of jungle wilderness areas in this fascinating country. 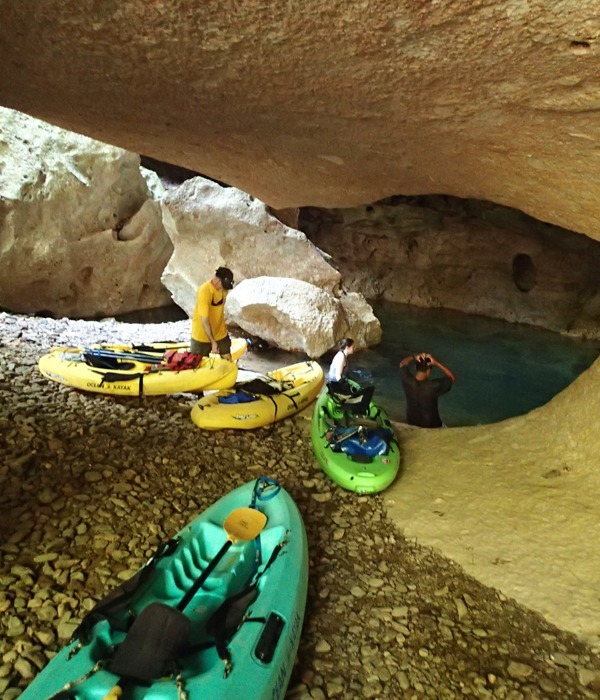 This trip is designed for those looking for an active vacation, and although no experience is required, some guests may find the activities strenuous (particularly the hike to the rappel and the portages on the Caves Branch River). Each sport is introduced, taught, and guided by expert guides, and each sport is suitable for a complete beginner in good shape. People who are in good physical shape and have a good attitude will do fine. We will add any Saturday not listed for a group of 4 or more (December – April only). How to Get There: 15 minute local flight from Belize International Airport. Guests are responsible for their own transportation to Dangriga. Contact the airline directly to reserve: Tropic Air – tropicair.com, reservations@tropicair.com, 011-501-226-2012. Maya Island Air – mayaislandair.com, info@mayaislandair.com, 011-501-223-1140. Schedule for Arrival: We meet at 6 pm on Day 1 of your trip. Your international flight should land in Belize City no later than 4:00 pm to ensure you will be able to catch the last flight to Dangriga; check local flights before confirming international flights. If you are late you will have to use a cab to catch up with the group (3 hour drive, approx. $200 US). We do not offer individual days purchased separately. If you book two trips back-to-back (trips with overlapping overnight accommodations with Slickrock), you will receive an additional discount. Visit our extended stay deals page. Minimum weight: There is a 100 pound limit for the Antelope Falls rappel; Bocawina Falls will be substituted. 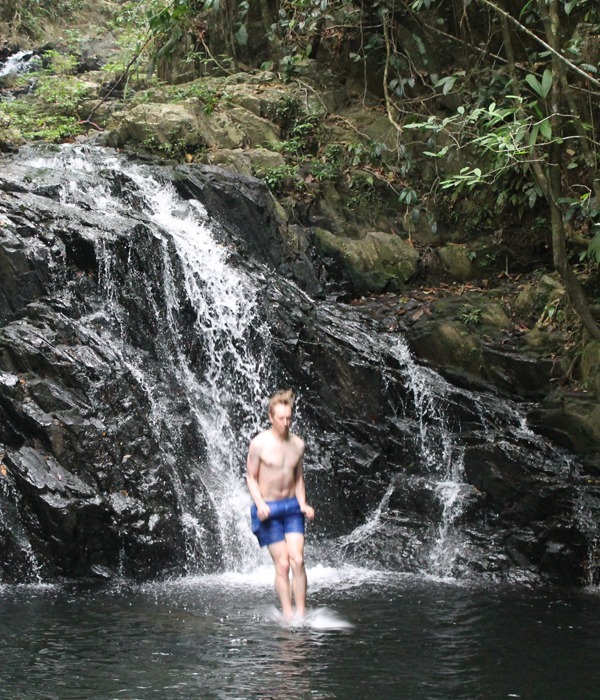 Kids under 18 doing Bocawina Falls must be accompanied by a parent. Weight Limits: Sometimes prospective guests ask if we have boats that can hold a person of 240 lbs, for example. This is difficult to answer because it depends on the fitness of the individual. In general, persons over 200 lbs will not be able to do every sport we offer, unless they are young and very active already. Here are our best estimates for weight limits for our river kayaks: 225 lbs. Height Limits Our gear does not extend to accommodate every single height. In general, persons over 6’4” may not be able to do every sport we offer. You will fly directly from Belize International to Dangriga upon arrival in the country (unless you arrive a day or more before Day 1 of the trip.) 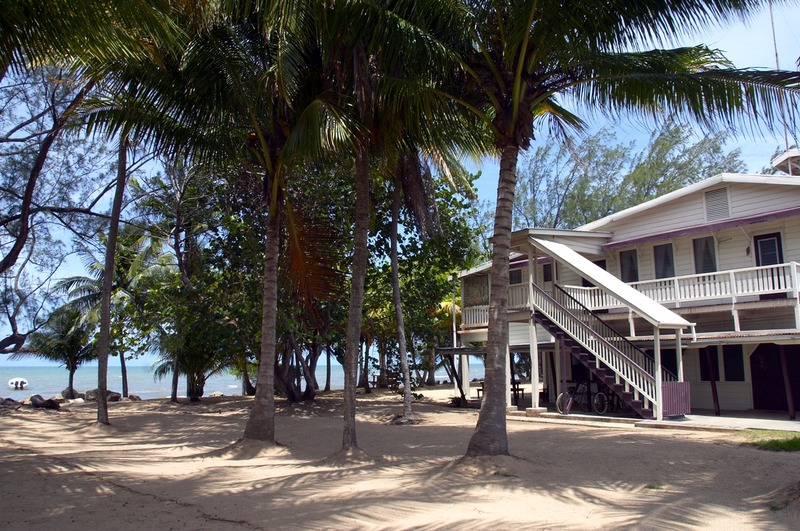 From the airstrip you walk one block to Pelican Beach, located right along the Belize coast. This charming two-story lodge will remind you of the Florida Keys in the 1950s. This is a great way to start your trip… you’ll be enjoying a cool drink on the edge of the Caribbean Sea in just over an hour from landing in the country! 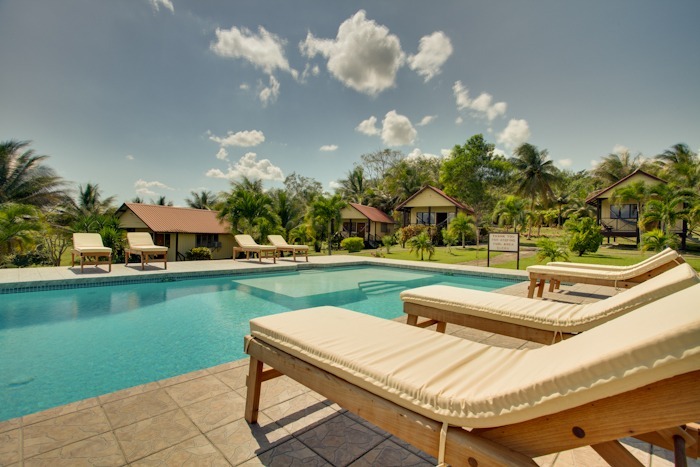 Cassia Hill Resort (formerly known as Windy Hill) is located in the Cayo District of Western Belize, the most popular inland area in the country. Cassia Hill is the perfect location for our base for adventure because it is quite accessible, and yet feels very remote. 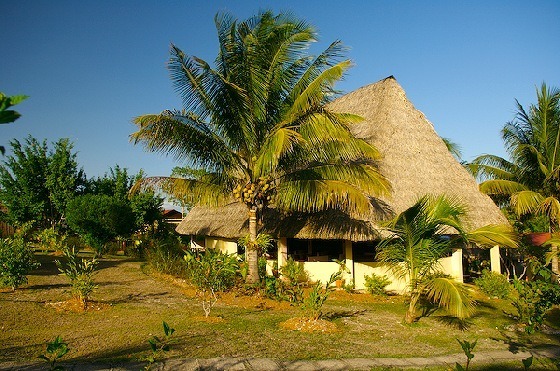 This quaint jungle lodge is located near several of Belize’s greatest natural attractions including well-known Maya temples, caves, rain forest reserves, and several rivers. Cassia Hill’s accommodations have all of the modern conveniences in a lush tropical setting. The resort property also features cable television, a restaurant with a bar and lounge, a recreation area and fitness center, and a swimming pool. There’s also a gift shop, and phone and internet are available. To locate just where Cassia Hill is located, we have created a Belize jungle map of all rainforest resorts in Belize. 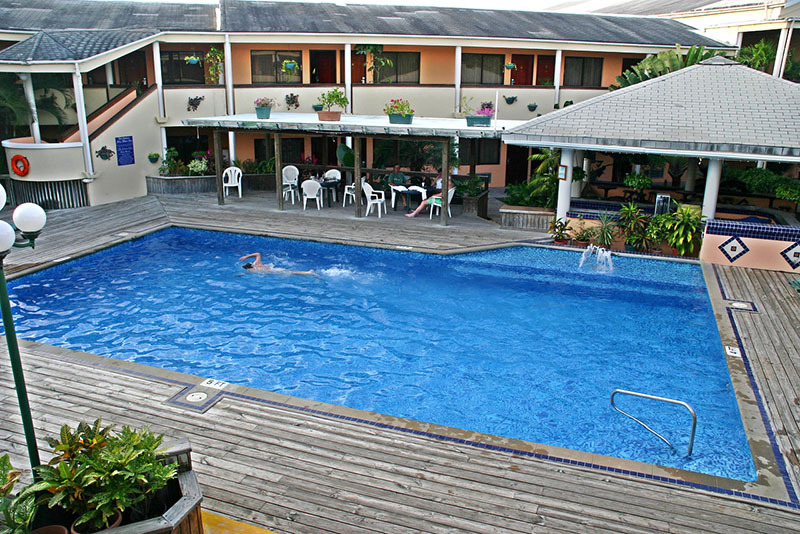 The Belize Biltmore Plaza Hotel is a full-service hotel located in the suburbs of Belize City, three miles from downtown near the airport. The Biltmore has a business center, beautifully landscaped courtyard, swimming pool, great restaurant, bar, gym, gift shop, tour desk, and internet cafe. It’s perfect for guests who arrive early, stay late, or who have just a few extra hours in the city.